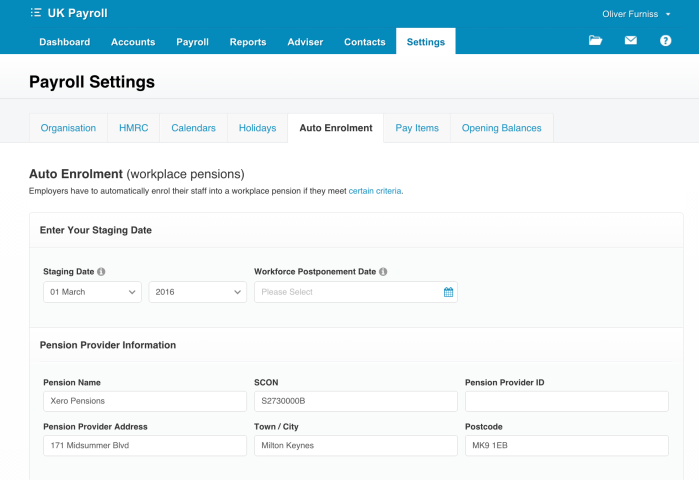 As announced at Xerocon, today we’ve released stage one of our auto enrolment features within Payroll in Xero. To find out more about what auto enrolment is, take a look at The Pension Regulator’s website or our educational video. We’ve previously shared our plans for auto enrolment. We want to help our business customers and their advisors stay compliant with the regulations. We’ve created a training video to step you through the changes in Payroll to support auto enrolment that’s available here. The Payroll in Xero auto enrolment and pensions features are purpose-built to take away the stress of automatic enrolment. You can use it to assess your workforce and automatically enrol the required employees to ensure you comply with legislation. Which auto enrolment features are available as part of this release? Enter and store the businesses staging date. Do you know when your staging date is? You can find out by using The Pension Regulator’s staging date tool. This is the date your automatic enrolment duties come into effect. Select a Workforce Postponement date (if applicable). Employers can postpone automatic enrolment assessment for up to three months from your staging date. However, it doesn’t change your actual staging date. And during the postponement period you must still accept any opt in notices. If you choose to postpone, you must write to tell your staff. Enter Pension Provider Information and pension information including pension types and contribution amounts. Payroll in Xero supports two types of pension schemes, Net Pay Arrangement and Relief at Source. Manage each employee’s workplace pension and auto enrolment settings. This includes their State Pension Age retirement date and their individual postponement date (if applicable). You can also manage any opt in or opt out dates and settings. Once the staging date has been reached, Payroll in Xero will automatically start to assess the employees and auto enrol if they meet the requirements. All relevant factors are taken into account including the age, state pension age and wages information. Each time the pay run is posted after the staging date, the auto employee assessment is processed to identify any new or existing staff that should then be auto enroled. For more information please see our help centre. Which auto enrolment features are coming next? 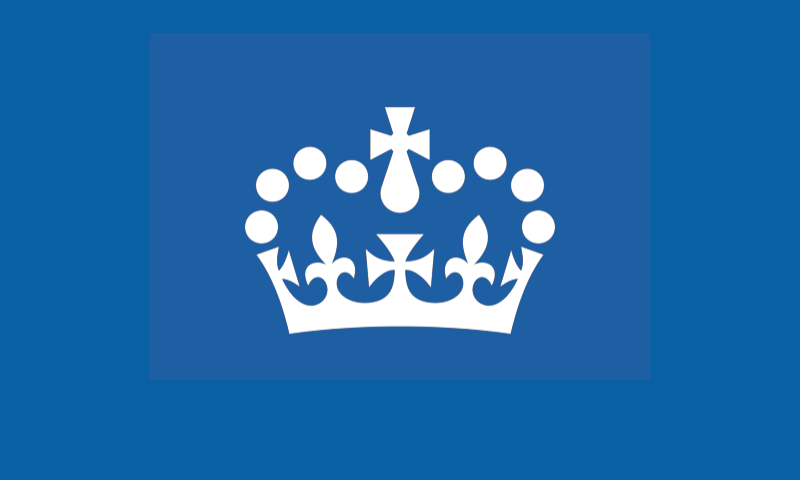 We’ve worked with The Pensions Regulator to obtain the staging dates for the majority of our existing payroll customers. We will automatically enter these into Payroll in Xero in a couple of weeks. If you enter a value in the meantime, we will not change the date that is entered. At the beginning of March, a Pensions Contribution Report will be released to help. It will allow a business to see what contributions have been deducted from payroll in any given period. Once you start to deduct employee pension contributions, along with your employer contributions, you must pay these funds to the pension provider on a regular basis. This report will help show what amounts you must transfer to the pension provider. Around May, we will be releasing seamless data transfer from Xero to the major market pension providers. This will allow for one-click auto enrolment compliance from assessment to data transfer. We will allow a seamless data transfer with the following pension providers: NEST, NOW:Pensions, The People’s Pension and Smart Pensions. If your fund does not allow seamless transfer then you will have to manually update their systems using the CSV output file. In the future we will also support Legal & General and Aviva data transfer. The final piece of the auto enrolment puzzle is scheduled for mid-year with automated employee correspondence. With automatic enrolment, you’re legally required to provide your employees with relevant correspondence relating to their status and rights at the right time. Xero will inform you of the correspondence you must send each employee, let you know when and automatically generate for distribution. If you find auto enrolment too daunting, there is no better time to seek advice from a payroll professional or trusted advisor. Find a certified Xero advisor to help manage payroll and your auto enrolment obligations. You mentioned in this blog that you would allow a seamless data transfer between Xero and Smart Pensions around May. Can you tell me if this is now available please? As per Caroline, when are we going to see this ‘seamless’ integration with Smart Pensions you boasted would be here in May? We chose Smart Pensions guided by what Xero stated in it’s blog! We are currently testing the integration with NEST, amongst a few partners and are looking to release this more broadly thereafter. We look to add support for other pension providers including Smart Pensions through the rest of the year. Any updates to this? The article mentions Mid-May and also mid-year. Currently we are half-way through September and a I imagine a huge number of your smaller clients have their staging dates looming (as we do). There seems to be lack of info coming from Xero regarding this topic. Any updates would be appreciated. Hi Greg, we are currently in pilot with a number of small businesses with our automated auto enrolment solution. We’ve been getting good feedback on the pilot with many positives but we’ve also identified some areas of the flow that need to be smoothed out before we can make this widely available. We will be working on that over the next few months. That said, we will be releasing support to download a PAPDIS file by the end of September for all major pension providers. Same issue for People’s Pension, still only compatible via .csv upload. People’s Pension don’t even list Xero having this upload capability on their website, I had to call them to confirm. Please provide accurate up to date information on such capabilities as business decisions need to be made, and incorrect information is not helpful. Hi Chaps – It has been six months since my last comment now. Have you not finished testing? I was hoping for an update on the integration with Smart Pensions. I am still having to do all this manually. Had this blog not misled me, I could have chosen NEST which I understand is integrating. I’m currently having the same issue you did in December – as there is still no integration between Smart Pensions and Xero. You mentioned you did this manually? Please could you give me a heads up on how you did this? I’m struggling. Well, it seems that NEST and TPP are now available via the Pensionsync service from Xero Payroll, but how about other providers? I have a couple of clients staging soon who want to use the ICB Pension Scheme (from Aviva) and that’s listed as Pensionsync compatible, but not available on Xero. Any ETA on ICBPS and / or Aviva? Hi Andrew, thanks for reaching out. We do now offer connections to NEST and TPP, and are doing a phased rollout of the PensionSync feature to our customers. We are looking into getting Aviva added as a supported provider – I’ll reply here with a timeline as soon as we have one. ICB is supported by Aviva as part of this, but there may be some compatibility requirements if you are using their assessment and comms module. I hope this is helpful – I will reply here as soon as I have additional updates or a more specific timeline. Hi, any update on plans for Legal & General integration? Been waiting for over a year now, and cannot find any update on plans for same?